That’s just the smoke on his clothes, sweetheart,” McCann said. He thought about how we’re all burning from the inside out, how America was and is. Eventually, the tightrope walk came to mind. The image of this lone figure, almost angel-like, above the city. What is the historic context of the novel? Vietnam was recently over. There were even computer hackers beginning for the first time, and he saw connections between that time and the present time. Iraq could substitute for Vietnam. So he went “to the depths” to see what he could find about where we happen to be now. 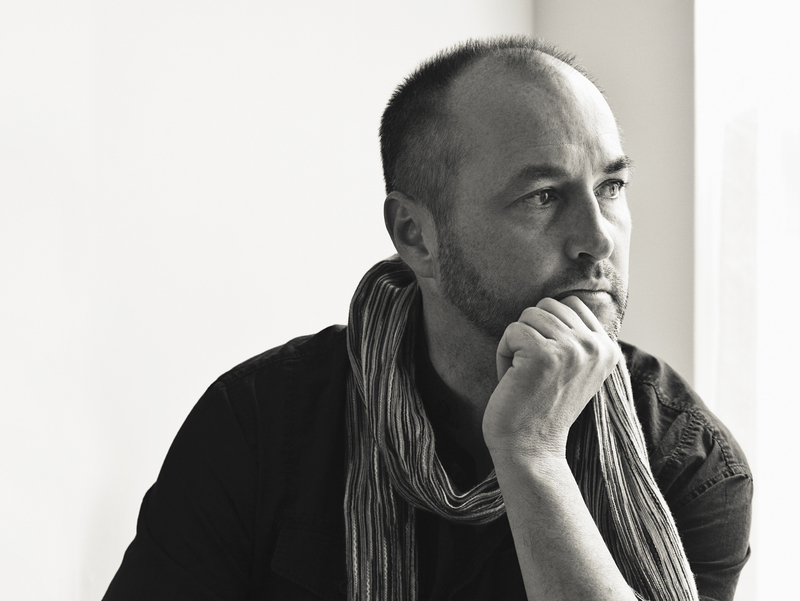 In the video below, Colum McCann discusses the dirty-beautiful world he has created in his fourth novel, Let the Great World Spin. He says that the tightrope walker’s stunt, around which the novel is written, has been called “the art crime of the century.” Beginning from high above, the novel then moves down to the depths of the city, and, as a result, penetrates it–and speaks to our own historic moment. The novel is framed with an inter-connected weaving of lives in New York during a moment in time when a man decided to tightrope between the the twin towers. Here’s a helpful article on Philippe Petit, the French acrobat who in 1974 did it. McCann does make “reaches” by undertaking many characters from the street. For instance, he has to channel the voice of a 38-year-old, black prostitute from New York City. He calls that “part of the beauty of fiction,” and indeed his careful, detailed and often idiomatic sense for each character’s voice and back story are convincing. “You try to find redemption and joy, what is meaningful to the human heart,” McCann says. It’s even called “psychological fiction” as one of the Library of Congress classifications on the title page. As with any narrative in which intricate and inner highly observational “moments in time,” the reader is faced with more of a challenge than something that has more plot movement, or in which “the stakes” are a little more black and white. But that’s what literature does. It just only aim to entertain–it also aims to enlighten, challenge and/or illustrate a vision of life. The way one can appreciate Let the Great World Spin is through the characters and the struggle of their lives. The poetic images, thematic integration and historic connections follow.